This is a private tour. 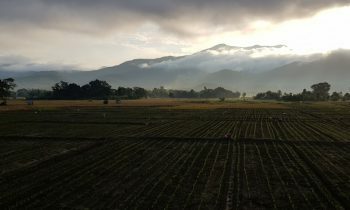 This trip brings you to a stunning and remote area in Chiang Rai province.You will visit the former headquarters of Khun Sa, the notorious druglord, learn about the Chinese KMT army and visit a tea plantation. View over tea plantations of Doi Mae Salong. 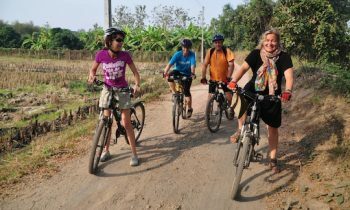 Your guide and driver will meet you at your hotel in Chiang Rai for your Doi Mae Salong Tour. Today we will explore an area northwest of Chiang Rai. It is one of the most spectacular landscapes of Northern Thailand, known for its hilltribe villages, tea plantations, and cherry blossoms. Along a winding road with magnificent views we gradually climb to a mountain called Doi Mae Salong. On the ridge of this mountain there is an interesting community, called Santikhiri (‘hill of peace’ in Thai). The people who live here are descendants from the Chinese Nationalist Fifth Army who after Mao’s victory in 1949 fled from China to Burma. In 1962 they entered Thailand after it became clear they were not welcome anymore in Burma. The Thai government allowed them to settle in this area but they still have strong ties to Taiwan. You will visit a museum that is dedicated to this “Lost Army”. You will also visit the tomb of General Tuan Xi-Wen from where you have a spectacular view over the mountains. There are many tea plantations in this beautiful area. We will visit our favourite one. We will have lunch at a local Chinese restaurant. After lunch we will drive to Therd Thai, a Shan (Tai Yai) community near the border with Myanmar. The road goes up and down and the views are magnificent. 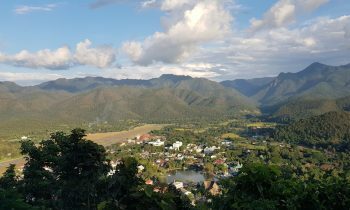 Not many people venture out to this remote town which used to be the stronghold of druglord Khun Sa and his Shan United Army. Khun Sa was a notorious opium dealer in those days. In 1982 Thai government troops dislodged Khun Sa from his base and took control of Ban Hin Taek. They renamed the town Ban Therd Thai (“village to honour Thailand”). We will visit the small museum dedicated to Khun Sa. The Shan people still consider Khun Sa a freedom fighter. On the way back to Chiang Rai we will stop at several hilltribe villages, amongst others Mien and Akha. The Mien (Yao) villages in North Thailand mostly can be found in Chiang Rai and Nan provinces. We will stop at a Mien village. The same can be said of the Akha people, probably the most exotic tribe in North Thailand. There are three different groups in the Akha tribe: Akha Lomi, Akha Ulo and Akha Phami. We will stop at one of their villages. Then it is time to drive back to Chiang Mai. 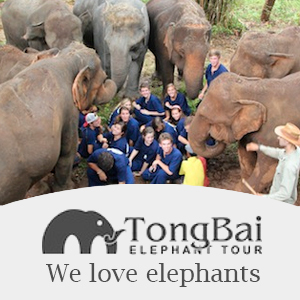 We will drop you off at your hotel in Chiang Rai after your Doi Mae Salong tour.